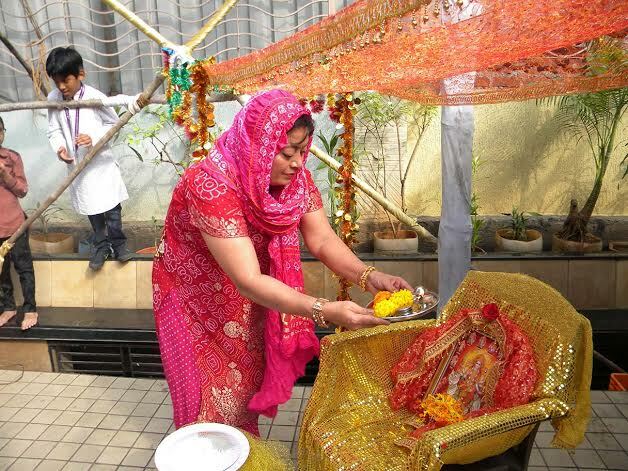 Navaratri is a festival dedicated to the worship of the Hindu deity Durga. 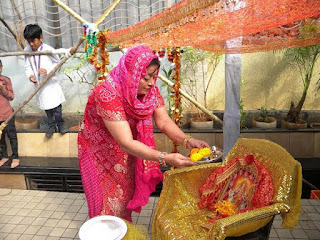 This period is taken as sacred opportunities for the worship of the Divine Mother Durga. Witty International School celebrated Navaratri on Tuesday 20th October, 2015 in the school premises with great zeal and enthusiasm. 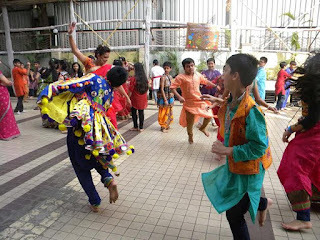 On this auspicious occasion, the school succeeded in catalysing feelings of celebrating Navaratri with the combined efforts of the principal, vice principal, teachers, parents and students. 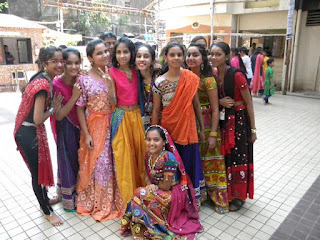 Students were instructed in advance to dress up in traditional outfits. 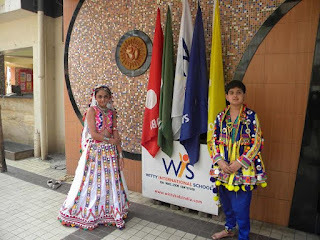 According to the flow, the programme was commenced with aarti and the respective classes came down as per the slots allotted to each of them. The icing on the cake for the children was when Respected Principal Sabina Madam, Vice Principal and teachers joined in the festivities and played Garba with them. It was a spectacular visual treat for everyone to see and relish. 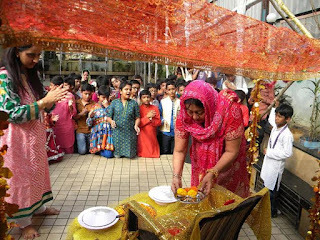 In all, it was a successful attempt to make the celebration eventful; however the main objective was to celebrate “the victory of good over the evil”.